JenniferSoft’s European Team, together with the Turkish partner, VBT (www.vbt.com.tr) launched the JENNIFER V5 in two locations, Istanbul and Ankara in Turkey. 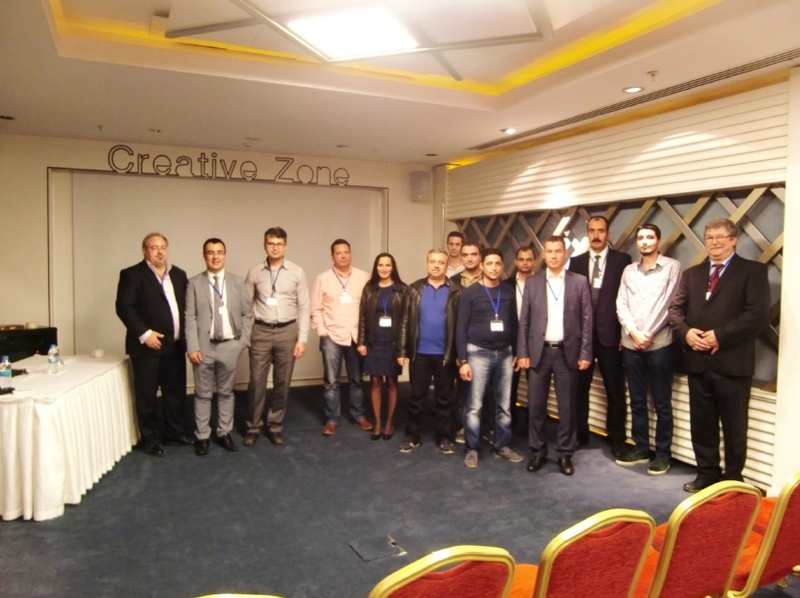 Mr. Birol Basaran from VBT and Mr. Fritz Neulinger from Jennifersoft Dks opened the Event and have welcomed existing Customers as well as new prospective Customers to these Events on October 20th and 21st 2015 in the different locations. Leo Singer from JenniferSoft Dks and Tayfun Yurdagül from VBT presented “JENNIFER V5 – new architecture, features, functions and enhancements” on live running Applications (JAVA, .NET and PHP) to the audience of very interested customers from different Business sectors (e.g. Finance, Transportation, Energy, Government, Healthcare and Municipality). Mr. Şeyhmus Akaslan (Turkish Railways) and Mr. Kadir Aydogan (Kartal Municipality) presented their JENNIFER- Success Stories as an example of an innovative approach to monitoring application (JAVA,.NET) and how this can quickly resolve the most critical problems and bottlenecks that affect application performance, to the audience and all listened to them with follow up discussions and live showing scenarios and solutions.